Mix all the dressing ingredients in a small dish. Adjust the seasoning to taste. 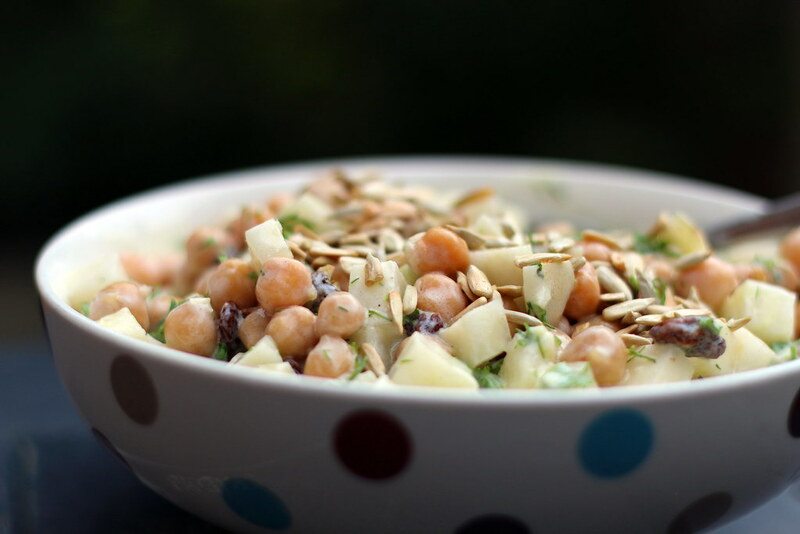 In a larger serving dish, mix together the kohlrabi, chickpeas, raisins and dressing. Top with the sunflower seeds. We ate this with a simple lettuce and tomato salad, and a potato salad with parsley and spring onion.